The case, in black ceramic, measures 43.5mm. 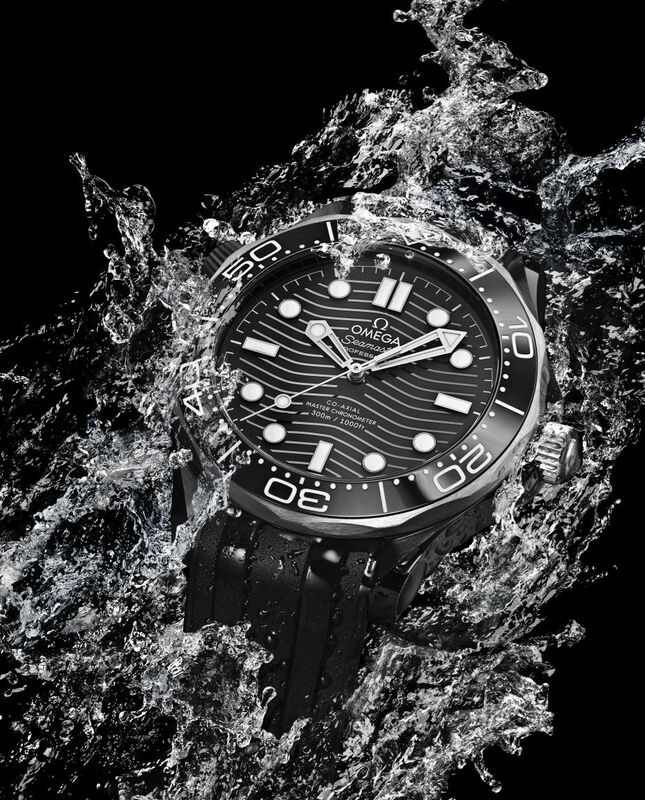 It has an AR-coated sapphire crystal, a wave-edged titanium caseback with sapphire display back, and it is water resistant to 300 meters. Titanium bezel with black ceramic ring and diving scale in white enamel. Helium-release valve. 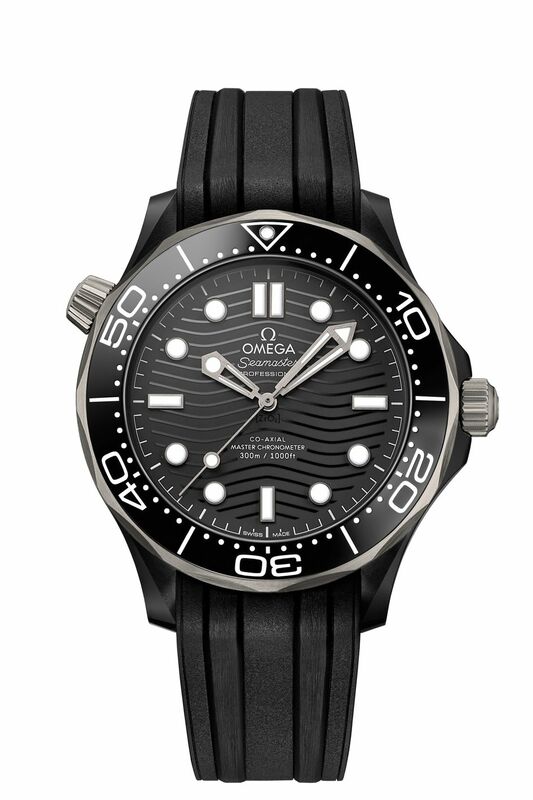 Movement is the Swiss automatic Omega in-house caliber 8806 with 35 jewels, 25,200 vph and a power reserve of 55 hours. 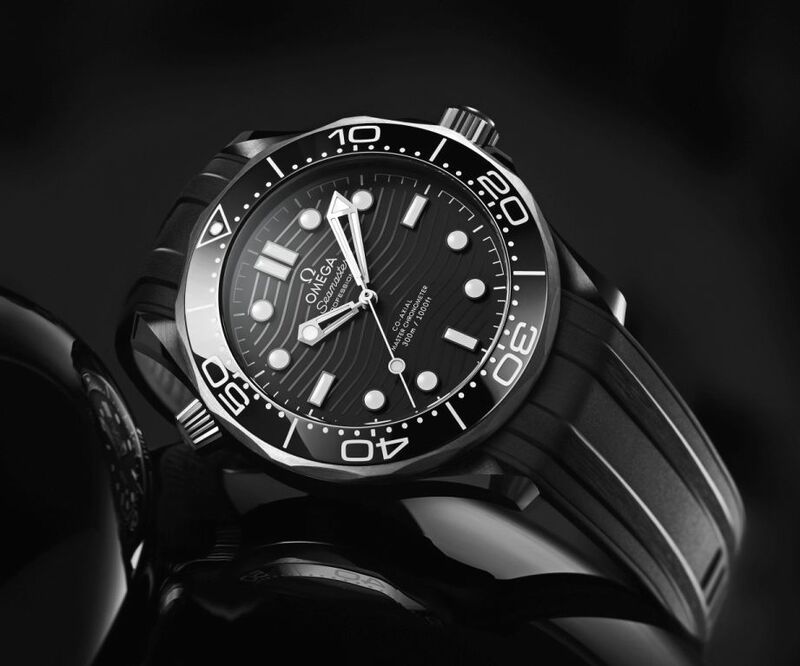 It is a Master Chronometer tested and certified by METAS. It is resistant to magnetic fields reaching 15,000 Gauss. Free sprung-balance with silicon balance spring, automatic winding in both directions. 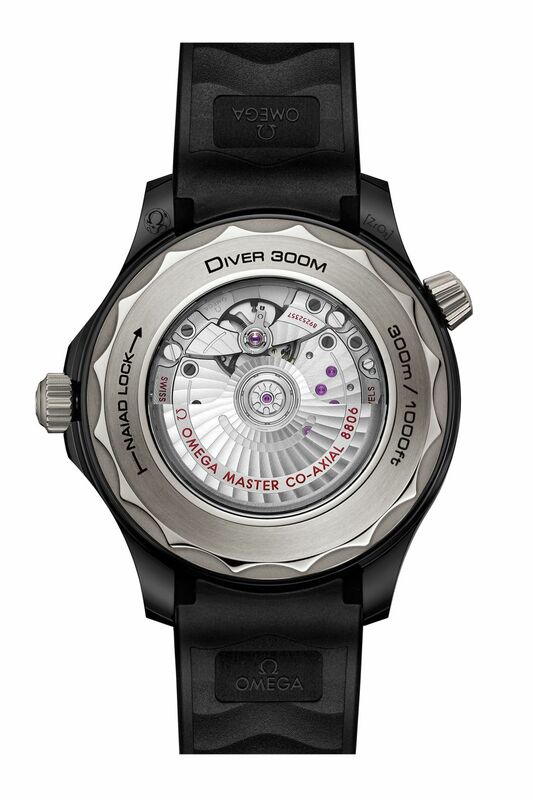 Rhodium plated finish with Geneva waves in Arabesque. 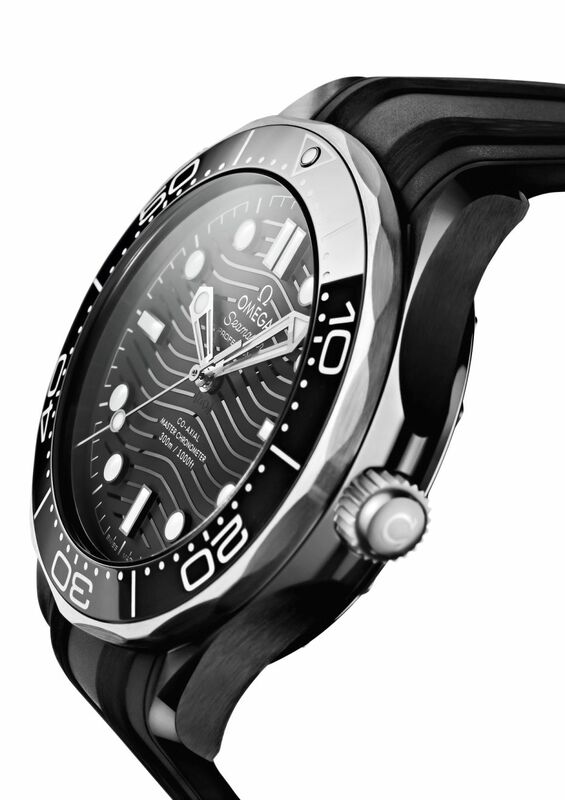 It has a brushed black ceramic dial, with laser-engraved waves, raised from the surface in a "positive relief" to create a unique effect. PVD titanium hands and indeces, with white SuperLuminova. It comes on a 20mm integrated black rubber strap with a black ceramic buckle. Will be nice for some folks. Too big for my wrist! Omega seems to keep finding ways to remake or tweak pieces that are successful, attractive, real world wearable, and with great features. I hope they keep it up. How thick is this watch? No one seems to have this spec. Thanks.